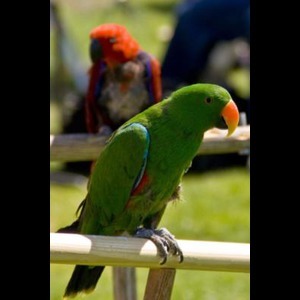 Extraordinary, exotic parrots that kids and adults can pet, hold, and take great picures with for a lifetime memories of the event or party. 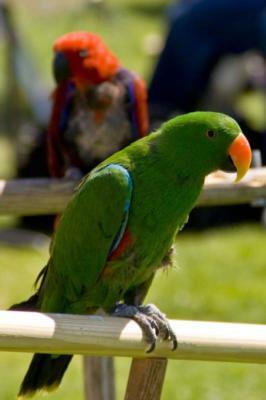 The parrots are set up in a professional display where all the guest can admire the bird's amazing beauty. The parrots will captivate all the guest, whether it is a Corporate event, Birthday party, Cocktail party, or any kind of Tropical theme party. I have parrots of all sizes, from the largest Macaws to the smallest pocket parrots. A have entertained at: birthday parties for all ages, school events, Wounded Warriors events and Corporate events at the San Diego Hilton Hotel, Seaport Village San Diego, La Costa Country Club, and many other events throughout Southern Califorinia. I am insured by Nautilus Insurance Company. Joel's Exotic Parrots were a hit at the party. Joel's birds were friendly and everyone enjoyed having their picture taken with them. The birds came in many sizes to which helped our guest feel comfortable with the smaller birds. The event was indoors and Joel was very accommodating by having everything set up and ready when the party started. He was very knowledgeable and shared each bird's talents with the guests. Joel was very polite and seemed to enjoy answering all the questions. 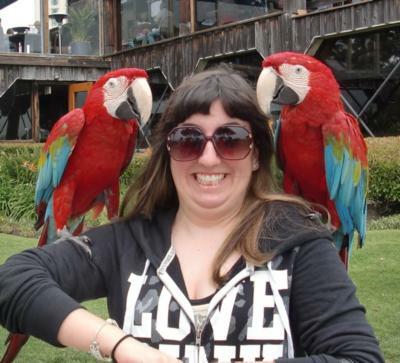 I definitely would recommend Joel's Exotic Parrots for any party venue with a tropical setting or with live animals. and the best part is that his rate is reasonable. This party was a great idea from a friend who saw Joel and his birds at Sea Port Village. Joel was very accomadating,very easy to work with. He was on time and he did everything he said he would do and more. The birds are beautiful and the kids really liked them especially the two that talked. The pictures are awesome, especially the ones when Joel put the birds of the heads of the kids. We don't have pictures like this for past parties are this cool!The parents got a kick out of the bird party. It was funny, some of the parents saw the birds on their kids arm or head, however they stood back. Everything was perfect. A great party for my kids. Please note Joel's Exotic Parrot For Events And Parties will also travel to Carlsbad, San Luis Rey, Vista, Bonsall, San Marcos, Encinitas, Cardiff By The Sea, Escondido, Rancho Santa Fe, Fallbrook, Solana Beach, Camp Pendleton, Del Mar, San Diego, Valley Center, Pala, Poway, La Jolla, Pauma Valley, Temecula, Winchester, Nuevo, San Clemente, Atwood, Palomar Mountain, Murrieta, Ramona, Capistrano Beach, Santee, Dana Point.